And.. to celebrate the New Year I am trying for the very first time to post a Messy Hair Monday video. Messy Hair Monday is a day late but who is counting?! :) Just warning you it is extremely amateur but I have to learn somehow, right? 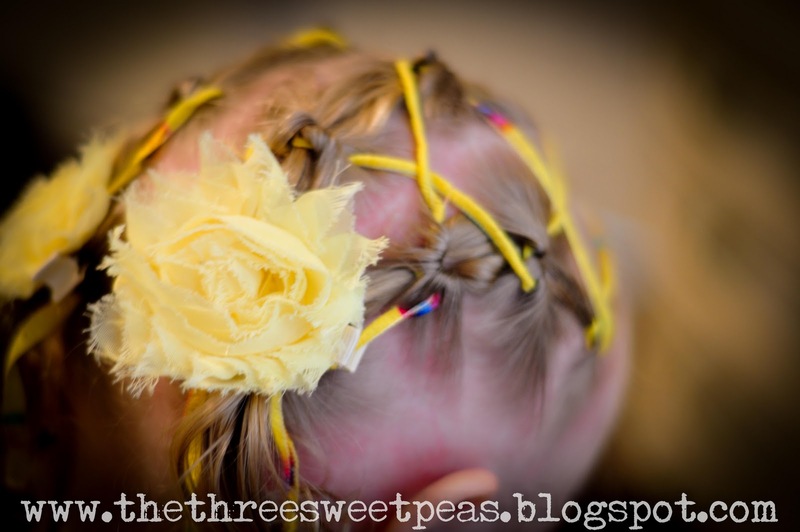 We had our amazing family visiting and my sis in law kept lacing my niece's hair with different ribbons. I had to video it! I do not like listening to my voice, YUK! My bed is not made and I didn't notice it until the video was being filmed. The suspense is killing me! Without any further delay, here it is, my first Messy Hair Monday Video Tutorial!